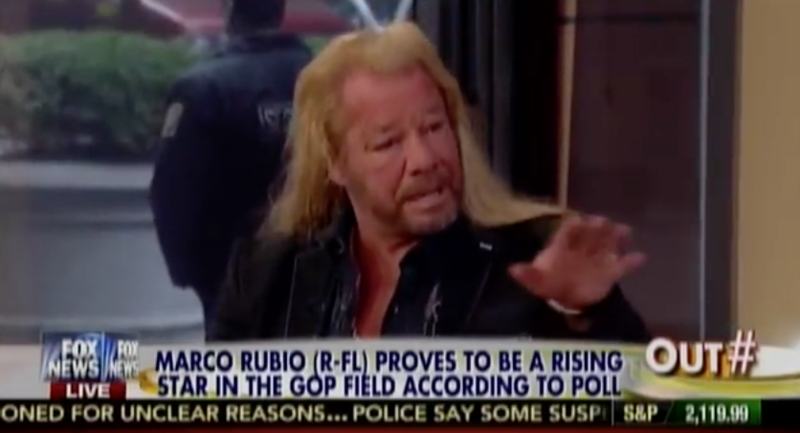 Duane Chapman shocks Fox News' "Outnumbered" panel by defending Hillary Clinton. Bet you weren’t expecting that… apparently neither were the hosts of Fox News’ “Outnumbered.” On Friday’s #OneLuckyGuy segment, Dog the Bounty Hunter (a.k.a., Duane Chapman) turned a few heads with his comments about Hillary Clinton. Andrea Tantaros would inevitably spin Chapman’s comments about the “dynamic duo” as a lead-in to a discussion about the latest allegations against the Clinton Foundation.